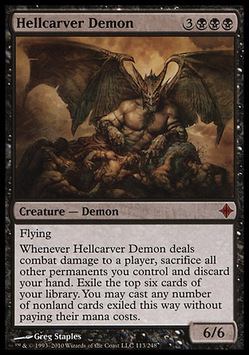 Whenever Hellcarver Demon deals combat damage to a player, sacrifice all other permanents you control and discard your hand. Exile the top six cards of your library. You may cast any number of nonland cards exiled this way without paying their mana costs.